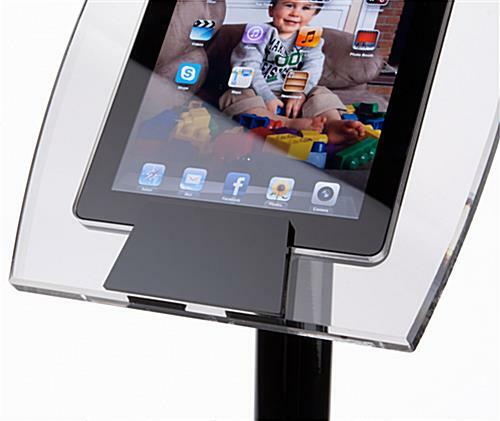 These curved tablet stands are comprised of sleek acrylic with black accents. 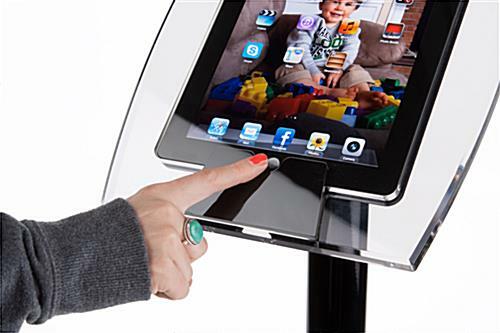 Patrons love these interactive marketing kiosks because they like to have control of the touchscreen presentation. 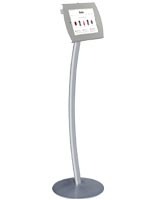 These adjustable tablet stands that house generation 2, 3, and 4 Apple® iPads and are ideal for retail and commercial use. 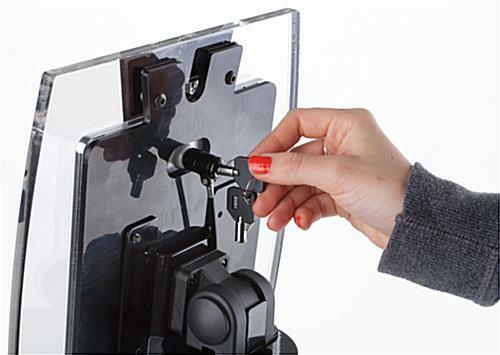 The displays allow merchants to select whether the home key on the touchscreen should be concealed or revealed. 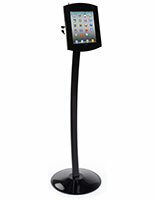 The floor stands for iPads have an adjustable mounting bracket that rotates 360° and tilts 90°. The enclosures also a weighted pedestal for stability in high traffic environments.